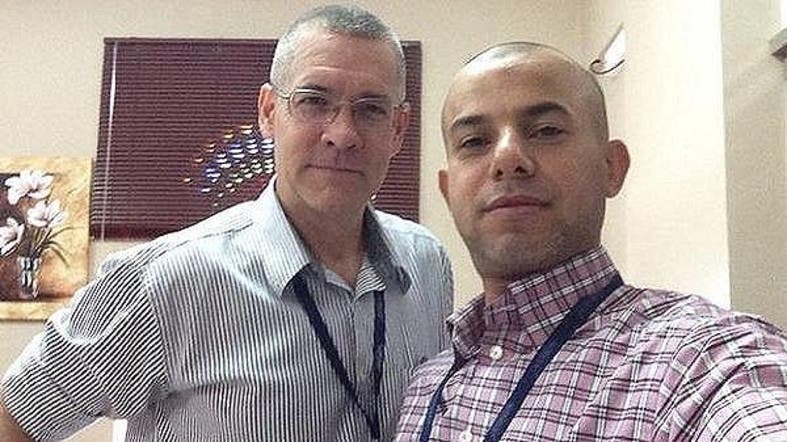 The first purported photo of a kidnapped American principal living and working in Yemen by militiamen has emerged. Masked gunmen donning civilian clothes - reportedly belonging to Houthi militia security apparatus - stormed English-language school Exceed Language Center in the Yemeni capital Sanaa and detained its principal Peter Willems on Tuesday, sources told Al Arabiya News Channel. Student eyewitnesses confirmed to Al Arabiya that 12 masked gunmen cordoned off the school’s premises while three gunmen armed with machine guns raided the inside and took away the American educator. Agence France-Press news agency said the man was only identified by his first name, Peter. The center’s website lists only one staff member with the same given name – Peter Willems, who is listed as the school’s director. So far, there have been no claims made over the director’s detention by the gunmen. Houthi militias are still in control of Sanaa after they attempted a coup in September 2014, which forced Yemen’s internationally recognized President Abedrabu Mansour Hadi into exile. How did Yemen’s militias squander $4 billion?